Iowa State Flags & Banners available in all sizes in nylon and polyester. Iowa is bordered by the Mississippi River on the east and the Missouri River and the Big Sioux River on the west; it is the only US state whose eastern and western borders are formed entirely by rivers. In colonial times, Iowa was a part of French Louisiana; its current state flag is patterned after the flag of France. See our great Iowa state birthday souvenirs and gifts. The first Europeans to visit the area were the French explorers Jacques Marquette and Louis Joliet in 1673. The U.S. obtained control of the area in 1803 as part of the Louisiana Purchase, and during the first half of the 19th century, there was heavy fighting between white settlers and Indians. Lands were taken from the Indians after the Black Hawk War in 1832 and again in 1836 and 1837. When Iowa became a state in 1846, its capital was Iowa City; the more centrally located Des Moines became the new capital in 1857. At that time, the state's present boundaries were also drawn. Eastern Goldfinch - owa designated the eastern goldfinch (Carduelis tristis) as the official state bird in 1933. Also called American goldfinch or wild canary, the eastern goldfinch is found throughout Iowa and often stays through the winter months. Iowa- Iowa comes from the Iowa River, named for the Iowa (or Ioway) Indians (a Sioux tribe). Wild Rose - The wild rose was adopted as the state flower of Iowa in 1897. Although no particular species was designated by the Iowa Legislature, the wild prairie rose is usually cited as the official flower. The Hawkeye State - Iowa is called The Hawkeye State as a tribute to chief Black Hawk, leader of the Sauk Indians. Iowa State Flag - Iowa's flag was designed by the state's Daughters of the American Revolution in response to Iowa national Guardsmen stationed at the Mexican border during WWI that requested an emblem of Iowa to represent their unit. 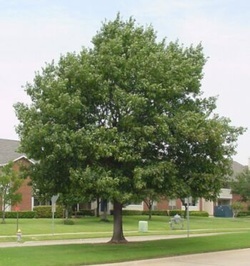 Oak - Iowa designated the oak as the official state tree in 1961. The oak was chosen because it is abundant in the state and provides shelter, food, and nesting cover for many animals and birds. It is difficult to find a tract of natural woodland in Iowa that does not harbor at least one species of oak tree. Geode - The Geode was designated the official rock of Iowa in 1967 to promote tourism in the state. Iowa is known worldwide because of the large number of rare and beautiful geodes found in the state. Our liberties we prize and our rights we will maintain - The state motto of Iowa was the work of a three-man Senate committee and was incorporated into the design of the Iowa state seal at their suggestion. Tama - The Tama series is considered one of the most productive of the soils in Iowa that are used for agricultural purposes. The Great Seal of Iowa -Creating the Great Seal of Iowa was one of the initial acts of Iowa's first Legislature in 1847. The state seal is two-inches in diameter and pictures a citizen soldier standing in a wheat field, surrounded by farming and industrial tools. The Mississippi River is in the background, and an eagle flies above, holding in its beak a scroll bearing the state motto. Iowa has a population of over 3 million people, approximately 1% of the population of the U.S. as a whole. Knoxville's National Sprint Car Hall of Fame and Museum is the only museum in the country dedicated to preserving the history of sprint car racing. Born Marion Robert Morrison in Winterset, John Wayne was the son of a pharmacist and grew up to become one of Hollywood's most popular movie stars.